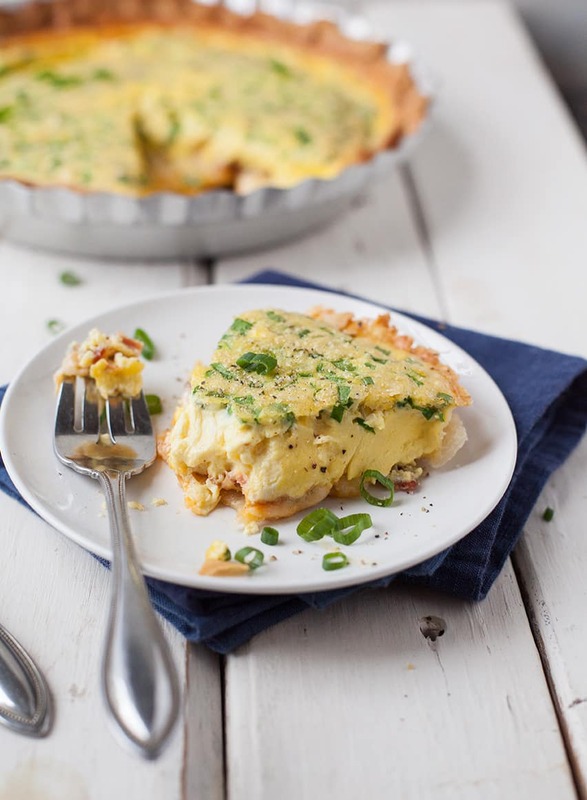 Bacon and cheese quiche is a simple mix-and-bake dinner option. It freezes and reheats great, too! 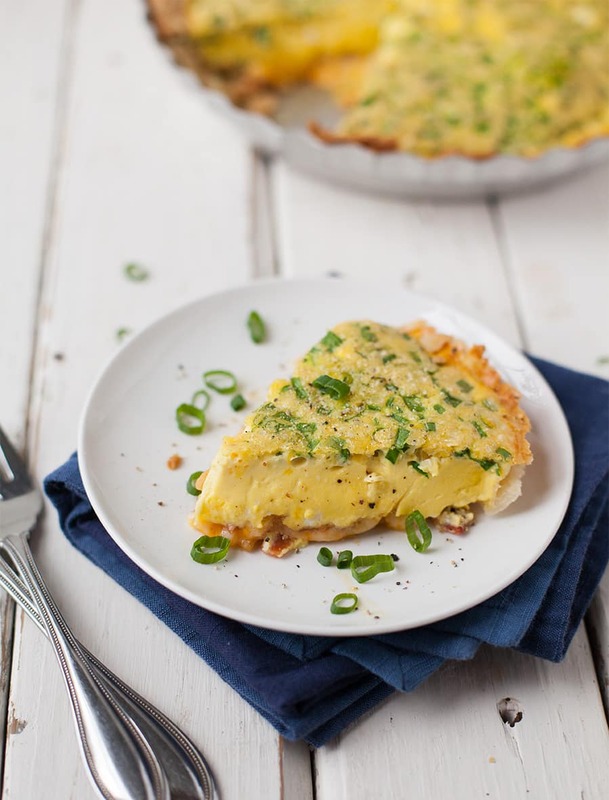 A great option for breakfast for dinner weeknights or early mornings. We have bacon and cheese quiche for dinner a couple times a month with hash browns. It’s a great breakfast for dinner option and you can make these in a mini muffin pan as an awesome appetizer too. They are always gone whenever we have them. To make the crust easier, use a refrigerated one and just warm it on the counter for about 20 minutes before you unroll it and it will be perfect. Sub in your favorite cheese, some ham, and other herbs you like. But I say why mess with a good thing? Bacon, cheese and green onions? That’s a good thing. This also freezes perfect. Bake them and then wrap them in foil and rewarm in a 250/300 degree oven and you’re ready to serve. An easy egg-based baked bit of cheesy, bacon goodness. Feed a crowd and freezes great. Line pie plate with one pie crust. Prick with fork all over bottom and sides to prevent puffing and bake 5-7 minutes. Remove from the oven and add bacon and cheeses to the bottom of the dish. 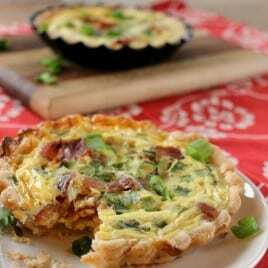 In a medium bowl, mix the eggs, sour cream, half and half, flour, green onions, salt and peppers together and pour over bacon and cheeses. **If you are making mini quiches, use a 2" biscuit cutter to cut circles of dough. You will need both circles of dough that come in the box. Re-roll scraps as needed to fill all 24 muffin cups.